But then I looked at the lengthy list of companies making density measuring equipment (I stopped counting at 10). That’s when it occurred to me that I might be missing something. Let’s start with how the gurus define density. Sort of like saying a 1/2 pound per can of Coke; still pretty easy stuff. "Is Density a Physical or Chemical Property?" Physical properties are those that do not change the chemical composition of a substance. Things like length, mass, and melting point are fixed properties. Chemical properties are the opposite. Things like oxidation, flammability, and acidity, when active, do change a substance. These examples point to density as a physical property. It does not change substances. So what? Because density does not change the characteristics of a material, it can be used to detect changes caused by a chemical process. For example, during beer fermentation, alcohol content is often monitored by measuring density changes in a batch. The time-honored way to determine liquid density is to tare a container of known volume, fill it up with the liquid, and weigh it. 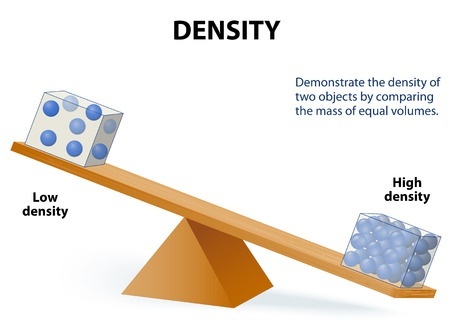 By dividing the weight of the sample by its volume, you get the density. Getting density of solids that have simple shapes, such as a sphere or cube, is easy. Simply weigh them and divide by the geometric volume. However, density measurement of an irregularly shaped solid is a little tricky. Concepts such as displacement of liquid and buoyancy are used. Measurement of air density is quite a complex process; somewhat cumbersome and tedious. The use of a Hydrometer to get liquid density is an easy, traditional method. Hydrometers are forms of plummets that float on the surface and then sink to a certain level, depending on the density of the liquid. Instruments based on the Coriolis and Radiometric techniques are used in some special cases. A Pycnometer apparatus is used to determine the density of porous materials. The Arrival of the Oscillating U-Tube. In 1967 an Austrian Company, Anton-Paar, first used the Oscillating U-tube to measure liquid density. The Oscillating U-Tube is a technique that analyzes changes in resonant frequency. 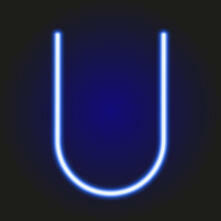 An empty U-tube is pulsed at it’s resonant frequency. It is filled with the liquid to be measured. This difference is correlated to density. The Oscillating U-Tube gives almost instantaneous readings. The development of the Oscillating U-Tube technique along with dramatic progress in electronic and digital technology, have lead to a wide variety of easy to use instruments. Some of these have been adapted for in-line process control. In addition, numerous laboratory bench models and portable configurations are available using Oscillating U-Tube technology. The application of digital analysis to basic density readings allows automatic conversion of test results to special industry terms or scales. Factors such as API degree, Brix concentration, temperature compensated density, sulfuric acid concentration, specific gravity, Plato Scale, and Baume degree can be selected. Science tells us that the volume of gasses, liquids and, to some degree, solids changes with temperature. These alter the density calculation. Thus, it is critically important to know and/or control temperature when using density measurements. In another area of our life, weather is influenced by density. Differences in air density, caused by temperature gradients in the atmosphere, produce wind. Air is always moving to the place of higher temperature or lower density. El Niño, the periodic phenomena of warm water in the Pacific Ocean welling up above a lower strata of more dense cold water, has a significant effect on the world’s weather. Water in the Pacific warms up and heats surface air, resulting in dramatic changes in the atmosphere. I think it is demonstrable, from the foregoing examples, that understanding the basics of density, its measurement, and its application are of significant importance. The implications of measuring density extends well beyond the simple middle school science statement, “The weight of a 12 ounce Coke”. The development of an automatic and easy-to-use oscillating U-tube has lead to explosive growth in the applications of density measurement for process control, quality analysis and product development. At the start of this project, as usual, I underestimated the complexity of the subject. Density, with a definition as simple as could be, I thought, would be easy to comprehend and explain. But, whoops, the wide ranging measurement principles, and the enormous scope of uses and applications far exceeded my wildest imagination. I fell back to my usual state of bafflement. I hope this short journey has been useful. If it has, please share it with associates who need to apply density measurement. P.S. Did you know that you can subscribe to these exposés, rants, raves and ramblings? All you have to do is enter your email address into the box at the upper right of this page. P.P.S. Take a look at the CSC special Portable Denisty Meter.